There are lots of cool books coming out in the next few months that I for one am very excited to read. Here are my top picks to come soon! "The epic tale of the vampire Larten Crepsley continues. The question is – how far can Larten go… alone? For the Cubs, everything is easy. But nothing has ever been easy for Larten, and soon fate throws his life into another spin. With dark paths to travel, Larten finds himself far from the Vampire Mountain and its rules. A long way from home, sick and alone, he must decide what kind of vampire he will be. Whether he will stand firm, be true to his master and his princples – or whether he will lose himself in blood…"
I really enjoyed the first book of the saga, Birth of a Killer which was released last October! Been waiting for this ever since. Thankfully there are only a few weeks left to go! Check out my review of Birth of a Killer here! 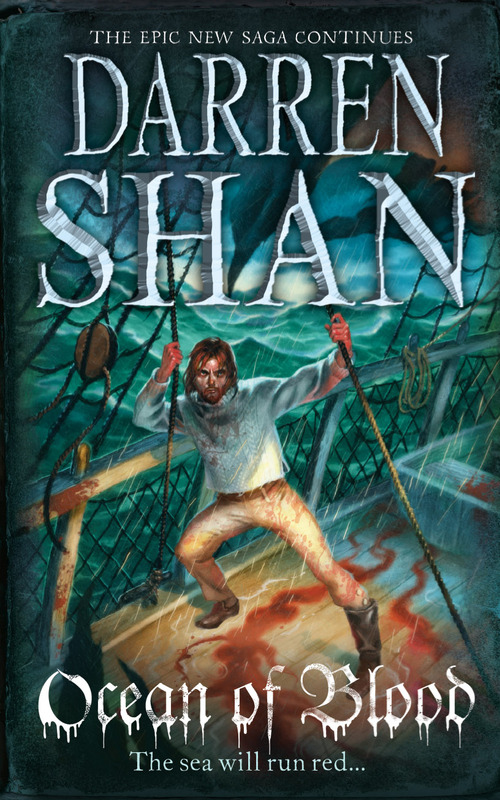 And pre-order Ocean of Blood here! A Small Free Kiss In The Dark by Glenda Millard. "A haunting story of war that will profoundly affect readers Young teenage boys will engage with the central character and the subject matter *Skip's an outsider. He's never fitted in. So he takes to the streets. Life there may be hard, but it's better than the one he's left behind, especially when he teams up with Billy, an old homeless man. Then come the bombs which bring little Max and Tia, the sad dancer with a tiny baby. Scavenging for food, living on love and imagination, Skip's fragile new family tries to hold out as war grips the city, but too soon tragedy strikes when Tia dies. Max, Billy, Skip and the baby move on, to an old farm where they try to find new hope." This sounds blooming brilliant and I am really looking forward to reading it. But just LOOK AT THAT COVER!!!! How amazing is that cover? The title placement and styling... I am in love with it! Pre-order this beaut right here! "The book begins with a chase through the streets of Calcutta in May 1916. Lieutenant Peake pauses for breath outside the ruins of the Jheeter's Gate station knowing that he only has a few hours to live. Inside his overcoat he is sheltering two newborn babies - twins, a boy and a girl. Peake entrusts them Aryami Bose. Sixteen years later we meet the boy, Ben, and his friends. They have formed a secret club, The Chowbar Society, which meets each week at midnight in the old ruin they have christened The Midnight Palace. Then Aryami Bose turns up with Sheere, Ben's sister, and tells them the story of the parents they never knew. Their father was an engineer and writer who died in tragic circumstances at the inauguration of Jheeter's Gate station. 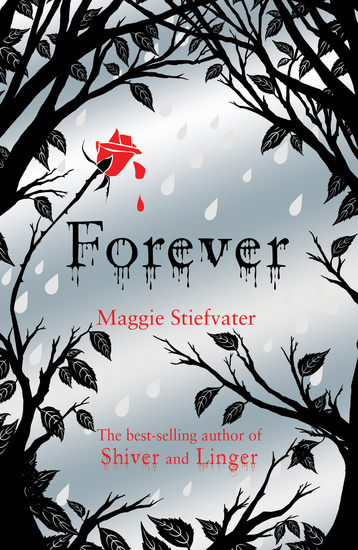 But as the novel unfolds, there is more to their history than meets the eye and they are lured by a shadowy figure from the past into a final showdown in the ruins." I loved Carlos' The Prince of Mist which was released over here last Summer and have been looking forward to reading more of his work! Thank the gods of publishing that this is on it's way! Loving the cover! Review of The Prince of Mist can be found here, and make sure you pre-order The Midnight Palace here! "Laura cannot contain her excitement when she wins a trip to the Caribbean for herself and her uncle, Calvin Redfern, especially when her best friend, Tariq, and her three-legged husky, Skye, accidentally find themselves on board too. 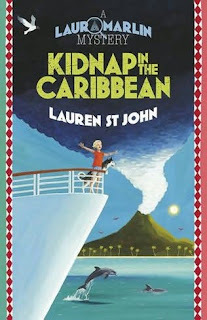 But when they dock at Antigua, they discover that Calvin Redfern has vanished, and Laura and Tariq are about to be kidnapped by the fearsome Straight A gang. Dramatic escapes, an erupting volcano and a race against time to stop the deadly undercover 'Marine Concern' make Laura's second adventure every bit as exciting as the first." 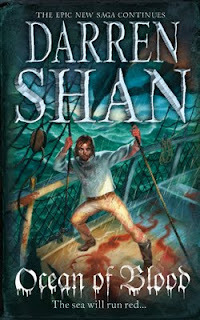 I really enjoyed the first book in this series, Dead Man's Cove. I read it last Summer and it sure is an enjoyable read for guys and girls of any age. Very excited to read this one and loving the cover! Check out my review of Dead Man's Cove (which was even quoted on the paperback release!!! :D) right here, and pre-order the book here! "In SHIVER, Grace and Sam found each other. In LINGER, they foughtto be together. Now, in FOREVER, the stakes are even higher than before. Wolves are being hunted. Lives are being threatened. 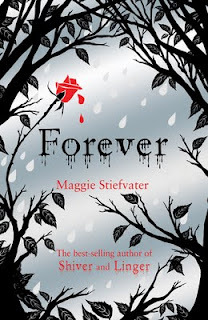 And love is harder and harder to hold on to as death comes closing in"
I really enjoyed Maggie's first book of the trilogy, Shiver and liked the second book, Linger, just as much. So looking forward to this one! Review of Shiver here, and Linger here... and the obligatory pre-order here!